In this paper, we examine the support given for the ‘theory of formal discipline’ by Inglis and Simpson (Educational Studies Mathematics 67:187–204, 2008). 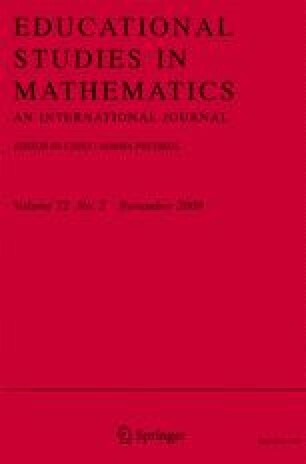 This theory, which is widely accepted by mathematicians and curriculum bodies, suggests that the study of advanced mathematics develops general thinking skills and, in particular, conditional reasoning skills. We further examine the idea that the differences between the conditional reasoning behaviour of mathematics and arts undergraduates reported by Inglis and Simpson may be put down to different levels of general intelligence in the two groups. The studies reported in this paper call into question this suggestion, but they also cast doubt on a straightforward version of the theory of formal discipline itself (at least with respect to university study). The paper concludes by suggesting that either a pre-university formal discipline effect or a filtering effect on ‘thinking dispositions’ may give a better account for the findings.